To check availability and make a booking, please contact us via phone or Email; or fill in the form below and we will get back to you shortly. 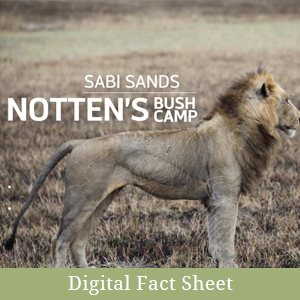 The distance to Notten’s Bush Camp by road from Johannesburg is approx. 480 km’s. The scenic route descends from the Highveld to the Lowveld with spectacular views of the Drakensberg Mountains in the distance.Taking either the N4 or the N12 from Johannesburg one travels past Witbank to Nelspruit, from there the R40 takes one to White River and then on to Hazyview. At Hazyview, take the R536 towards the Paul Kruger Gate and Skukuza. After 37 km you will see the Notten’s Bush Camp sign. Turn left onto a dirt road. Travel for 7 km and you will get to the Sabi-Sand Game Reserve Gate. Pay R80,- and follow the Notten’s signs. These transfer companies offer transportation from anywhere in the surrounding Mpumalanga area. Nottens Bush Camp Transfers from KMIA and Hoedspruit region for aprox 120km. R495.00 pp one way or Vehicle rate of R1475.00 one way, max 5 people (single person is R750.00 one way). Please note that Nottens can only do transfer subjected to availability. Premier Tours and Transfers: contact Geoff: graftrav@mweb.co.za Tel: +27 (0)13 751-3603. 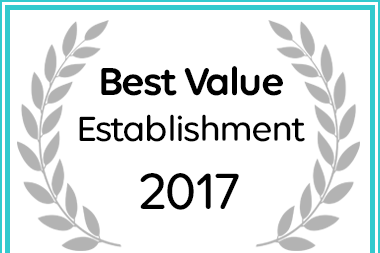 Notten's Bush Camp has been named a Best Value Sabi Sands Game Reserve Establishment.